Grand Central Terminal in New York. Photo by Fcb981. 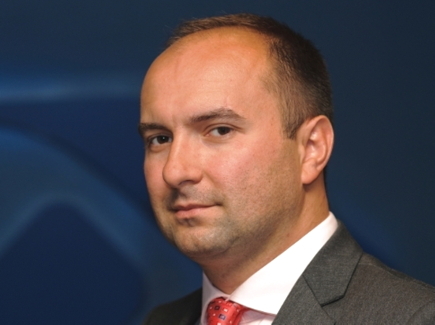 Three railway-connected anniversaries have featured recently in the mainstream media. The first is the centenary of Grand Central Terminal in New York which was celebrated on the BBC’s WWW News Magazine in an admirable article by Princeton University Professor of History, David Cannadine. …Above ground there arose a spectacular beaux arts creation, all marble and chandeliers and sculpture and glass, the centrepiece of which was a huge and lofty passenger concourse, which drew the eyes of awe-struck passengers heavenwards, where they could marvel at a vast, barrelled ceiling, painted blue and decorated with the signs of the zodiac. 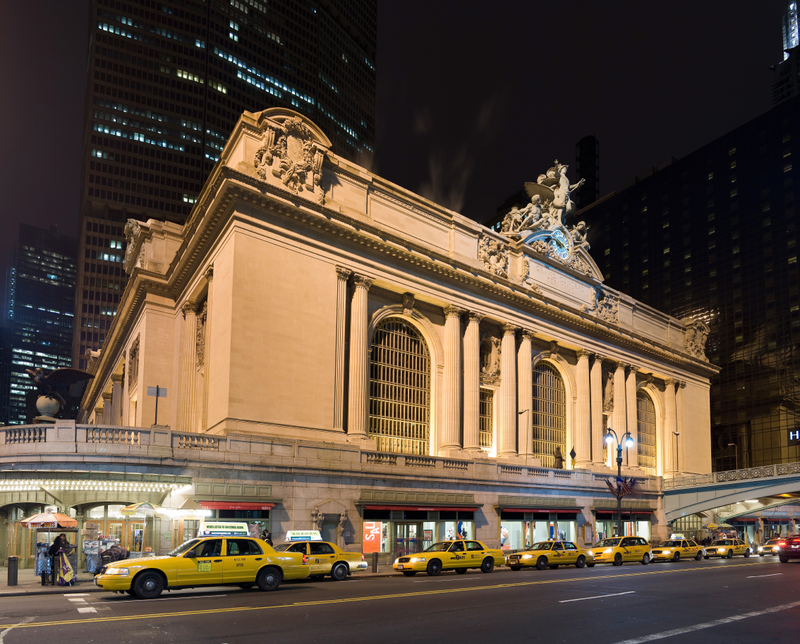 I had no idea, until I read Cannadine’s piece that the preservation and restoration of Grand Central Terminal owes much to the growth of architectural conciousness which followed the public outcry after the demolition of Grand Central’s neighbour, the Pennsylvania Station in 1963. Pennsylvania Rail Road Station shortly after completion in 1911. Penn Station, as it became known, was was faced with pink granite and built in the classical Doric style similar to the late lamented Euston Arch. The main waiting room, inspired by the Roman Baths of Caracalla, was at 150 feet high, the largest indoor space in New York City and one of the largest public spaces in the world. Penn Station concourse shortly before closure and demolition. The interior of Penn Station’s 1910-built steel and glass train shed uncannily resembled the interior of London’s Liverpool Street Station which was opened in 1874. Liverpool Street Station has had a radical facelift, but was saved from demolition and comprehensive redevelopment thanks to the efforts of Sir John Betjeman and the Victorian Society. Which brings the subject round neatly to the fortieth anniversary of the broadcast of Betjeman’s Metro-Land. Sir John, one year into his 12-year tenure as Poet Laureate, took spellbound viewers on a 48-minute trip along the line from Baker Street, in central London, to Amersham, Buckinghamshire, through the suburbs created by the Metropolitan Railway between 1910 and 1933. He met a birdwatcher in Neasden, the carnival queens of Croxley Green and a man who had bought a Wurlitzer cinema organ and rebuilt it in his home in Chorleywood. He visited semi-detached homes with freshly-mown front lawns and cars on the driveway that demanded a ritual Sunday sponge and suds clean. The above piece comes not, as might be expected from the BBC website, but was published by the Daily Express. The BBC, one an icon of all that was best in broadcasting, has strayed far from the path laid down for it by Lord Reith and seems to be doomed to continue its decline and fall. And the 3rd anniversary is, of course, the 150th anniversary of the journey of the world’s first underground train. Celebrated in style by LUL and given generous coverage by all of Britain’s mainstream media. The extract below from a sympathetic blog article by Dave Hill on the Guardian’s website is typical. Two things stood out from my steam train ride yesterday evening down the route of the first ever London underground railway journey from Paddington to Farringdon: one was the nostalgic charm of the experience, especially the smells; the other was the enthusiasm of the many spectators gathered on the platforms of the stations we chuffed past. 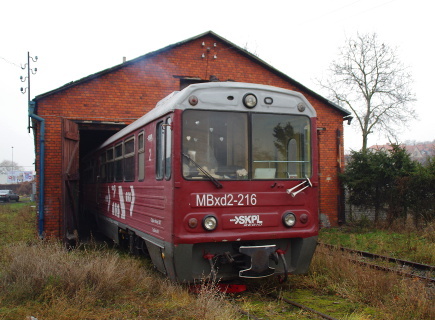 Perhaps we need a rail-minded Poet Laureate in Poland to set the public’s imagination alight about the country’s railway heritage and and halt its wanton destruction? Now who can remember the last regular, steam-operated, passenger service train on the Underground?